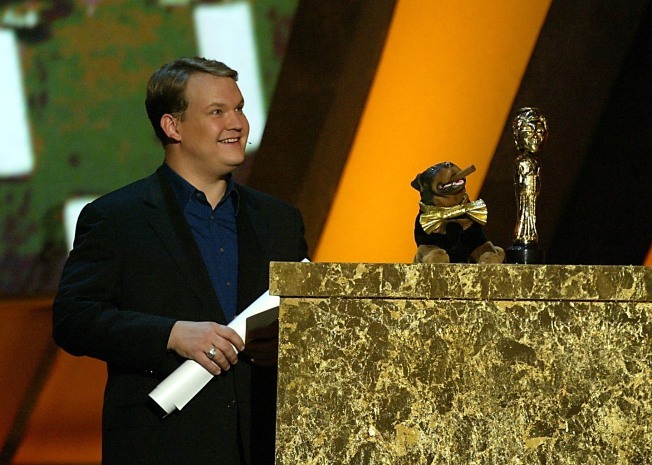 Andy Richter, Conan O'Brien's sidekick at "The Tonight Show," is acknowledging some ill will toward NBC and Jay Leno in the wake of the network's late-night upheaval. "Why wouldn't I?" said Richter, who was filling in Tuesday for Regis Philbin on "Live! with Regis and Kelly." Richter told Kelly Ripa he was frustrated that Leno was allowed to reclaim "The Tonight Show" host chair just nine months after O'Brien had inherited that plum assignment. "NBC, definitely, everybody said they were going to do something and they didn't," said Richter, implying the network broke long-standing commitments it made to O'Brien. O'Brien left NBC and "Tonight" in January amid complaints by NBC of low ratings. NBC had proposed reinstating Leno in the 11:35 p.m. EST slot and bumping O'Brien back a half-hour. O'Brien's future is unclear. So is Richter's, though he said, for now, he's still an NBC employee, "so we'll see if those checks keep coming." He called a rumored live concert tour for O'Brien and Co. "a distinct possibility." It all ended much quicker than he could have imagined, said Richter, who figured his "Tonight" job was "as good as it gets in show business." He said he figured "I'm a tenured professor of show business now," but quickly learned otherwise. "I guess I'm really good at getting kicked off the air, because it's what I've been doing for the last 10 years." Ripa had a suggestion for his next career move. "You and Conan should do another show on another network called 'We Were on The Tonight Show,'" she joked. "Wouldn't that be exciting!"